7 posts categorized "Andrea Millar, CPA/PFS"
Congratulations on making it through another tax season! As you helped your clients prepare their tax returns, did you ask yourself any of these questions? Who, if anyone, is looking at their overall financial picture? What can I do to help remove financial obstacles so they can accomplish their goals? 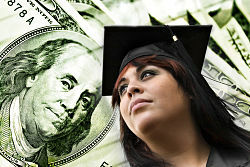 Can I offer financial knowledge, analysis and a framework to make this person’s dreams a reality? From those long hours, including rigorous reviews and meetings with clients, you’ve gained unique insight into their lives – insight into their incomes, spending habits, investments and life events. While reviewing those 1040s, you are able to envision potential tax impacts of financial decisions and begin considering tax planning opportunities for your clients. 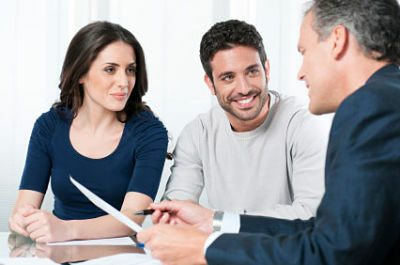 This is a great first step in helping them meet their overall financial planning needs, including making estate, retirement, tax, investment and insurance planning decisions to move them toward meeting their long term goals. The Wall Street Journal’s CFO Report covered yesterday’s release of the AICPA’s Economic Outlook Survey results, noting that 14 percent of those surveyed plan to hire this quarter – up from 10 percent in Q4. The AICPA Economic Outlook Survey polls chief financial officers, controllers and other CPAs in executive and senior management roles about their thoughts involving the economy and their hiring plans in the next year. 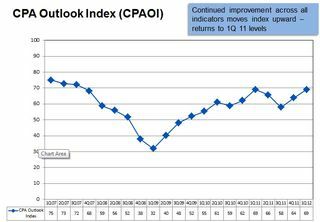 The Triangle Business Journal cited the rise of the CPA Outlook Index, a composite of nine indicators, which measured a 69, a post-recession high (see the chart to the left) that matches the index score from the first quarter a year ago. The Raleigh News & Observer, noted that the CPA respondents’ views are seen as a leading economic indicator because they oversee corporate finances and help devise strategy. Carol Scott, CPA, CGMA, AICPA vice president for business, industry and government, was quoted by WRAL.com in their article on the survey. Scott said "optimists now outnumber pessimists on the U.S. economy by an almost 2-to-1 margin, which is a striking change from six months ago." The results of the survey will be discussed on a webcast 2012 Economy: Real Recovery or Roller Coaster Ride?, scheduled from 2:00 to 3:30 p.m. ET on March 22. The webcast has free CPE for the first 2,000 AICPA Members who register. While economic uncertainty persists and conflicting economic indicators make predicting the progress of the recovery tough, stocks have been on the rise since late 2011. With the Dow crossing the 13,000 threshold earlier this week, many investors may be considering a return to the market. Before making any important financial decision, it’s essential to develop a plan that addresses the specific situation and ensures alignment with one’s goals for the future. As a number of recent news articles below demonstrate, individuals are increasingly turning to their CPA for help making investment decisions and planning their financial future, and the AICPA is ensuring that CPAs have the tools they need to best advise their clients.